In cultural and intellectual terms, one of the EU’s most important objectives in pursuing unification has been to develop a common historical narrative of Europe. 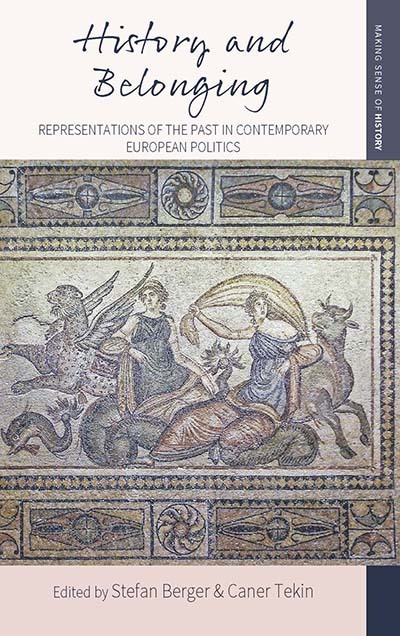 Across ten compelling case studies, this volume examines the premises underlying such a project to ask: Could such an uncontested history of Europe ever exist? Combining studies of national politics, supranational institutions, and the fraught EU-Mideast periphery with a particular focus on the twentieth century, the contributors to History and Belonging offer a fascinating survey of the attempt to forge a post-national identity politics. Stefan Berger has been the Chairman of the Library Foundation of the Ruhr since 2011. He directs the Institute for Social Movements at the Ruhr University Bochum, and previously held the position of Professor of Modern German and Comparative European History at the University of Manchester. Introduction: Towards a ‘Europeanised’ European History? Chapter 2. The European Union and the Historiography of European Integration: Dangerous Liaisons?